In a recent webcast, we’ve received the question on how to disable the number generation within Data Standard for drawings. 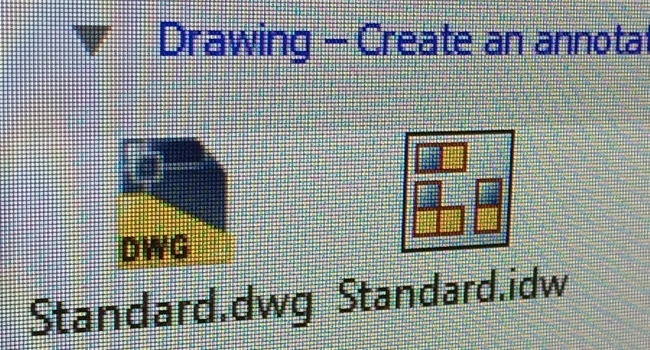 So, when you place a component in a drawing (IDW, DWG), the drawing shall have the same file name as the inserted model. There is a switch in the option dialog of the Vault add-in within Inventor, but unfortunately such switch is not evaluated (yet) with the current release od Data Standard 2016. However, Data Standard is highly flexible, so there is a simple workaround. As the dialog shows up, the function GetNumSchms is called. Such function provides the available numbering schemes. It’s a perfect place for providing just a specific list of numbering schemes for the given file type, or whatever. If this function returns nothing ($null), then the Data Standard dialog uses the file name suggested by Inventor, which is by default the name of the inserted model. The next time you’ll save a drawing in Inventor, you will notice that the numbering scheme is disabled and that the file name already reflects the name suggested by Inventor. That’s it! I hope you enjoy. The name Issue is solved, but what about the path? I would like to store the drawing in the same Folder as the model. Hi, also I have the problem, that i dont get a Number scheme in Autocad. How can i make a difference between Autocad.dwg and Inventor.dwg?